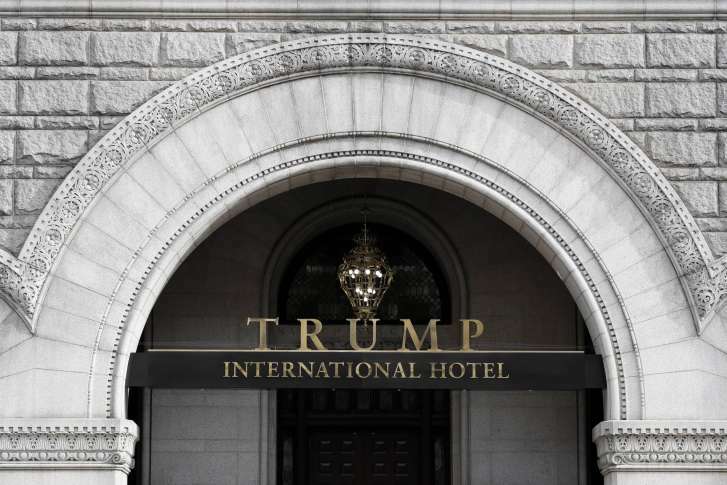 At issue is the Constitution’s “emoluments” clause, which prohibits a president and other government employees from accepting gifts and payments from foreign or state governments without congressional approval. 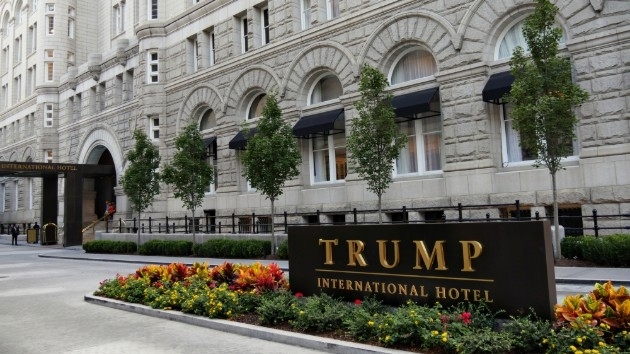 A private lawyer for President Donald Trump says the president cannot be sued in the matter either as an individual or in his official capacity. 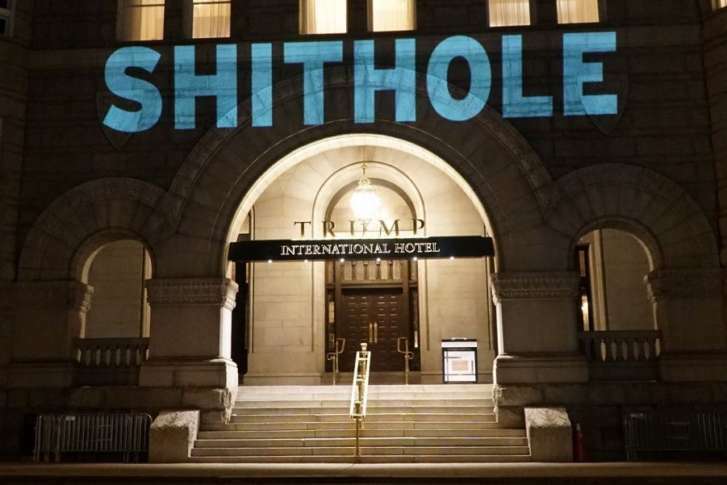 Robin Bell, a Washington-based artist and filmmaker, says he used a video projector to splash words across an entrance to the hotel Monday night. 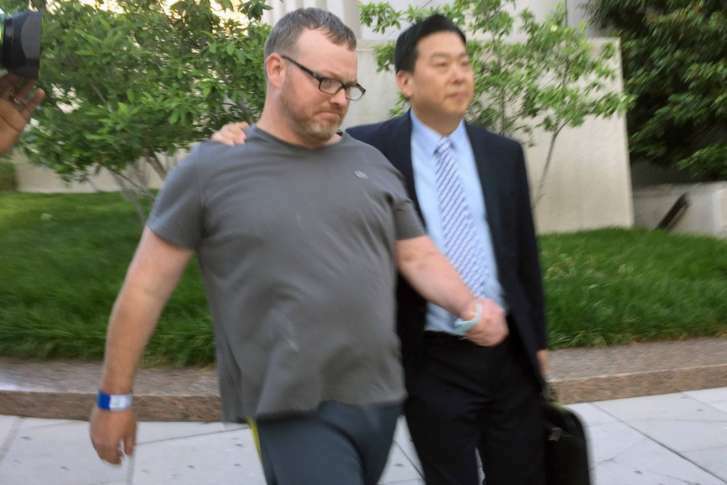 See video and photos. 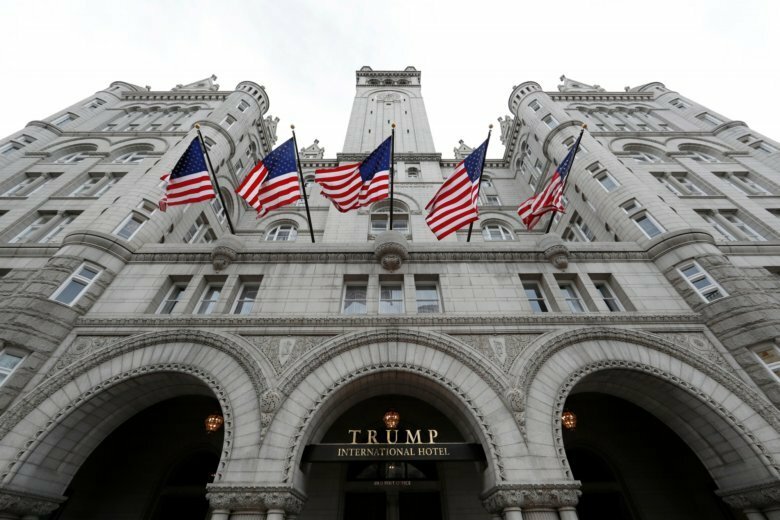 The Trump Organization has settled another dispute involving a well known chef and the Trump International Hotel, in D.C.